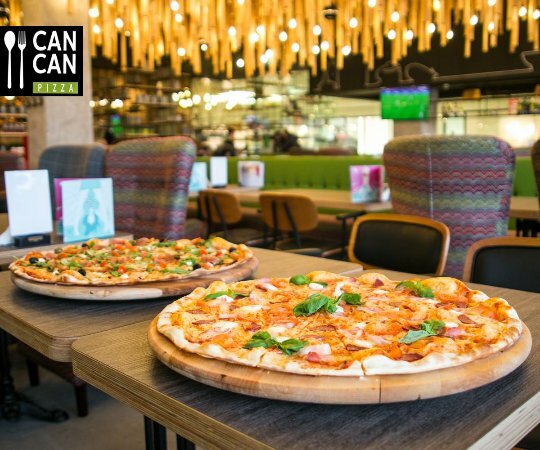 There aren't enough food, service, value or atmosphere ratings for CanCan Pizza, Lithuania yet. Be one of the first to write a review! Good staff and yummy pizza, fast service and nice surroundings. Great dessert options also. Liked this place, a lot. Nothing outstanding, but quite good food for a good price. Many types of foods to choose from. Fast service. Their pizzas are terrible, staff is super unfriendly, no service what so ever. All in all a very bad experience that my clients had to endure. Will not be going back. Get quick answers from CanCan Pizza staff and past visitors.